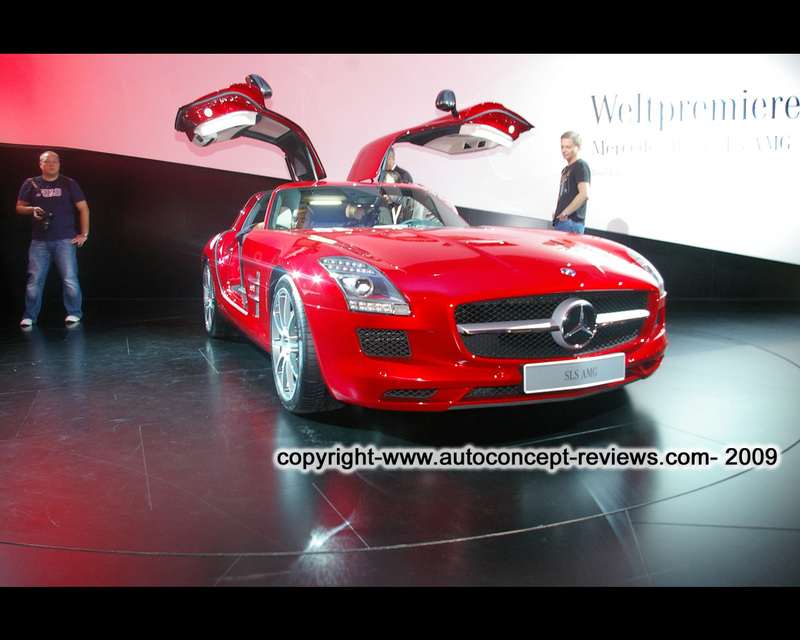 The Mercedes SLS AMG was unveiled at the 2009 IAA Frankfurt Motor Show in conventional gasoline engine version as well as in its 2013 battery electric version. This new car follow a long tradition in classic sports car initiated with the 1952 24 Hours of Le Mans winning Mercedes 300 SL that will enter the sports car market in 1955as the Mercedes 300 SL Gullwing following the requirement of american importer MarK Hofman. The car became a world classic car. Further details of Mercedes 300 SL W194 1952 and Mercedes 300 SL Gullwing 1955 or Mercedes 300 SLR can be found in Car Reviews collection. 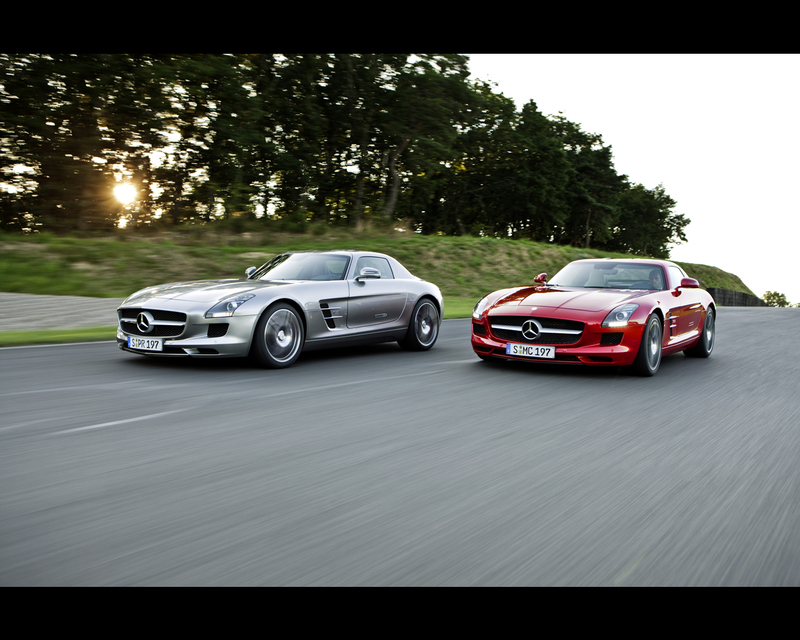 The new Mercedes SLS AMG Gullwing has a long pedigree. 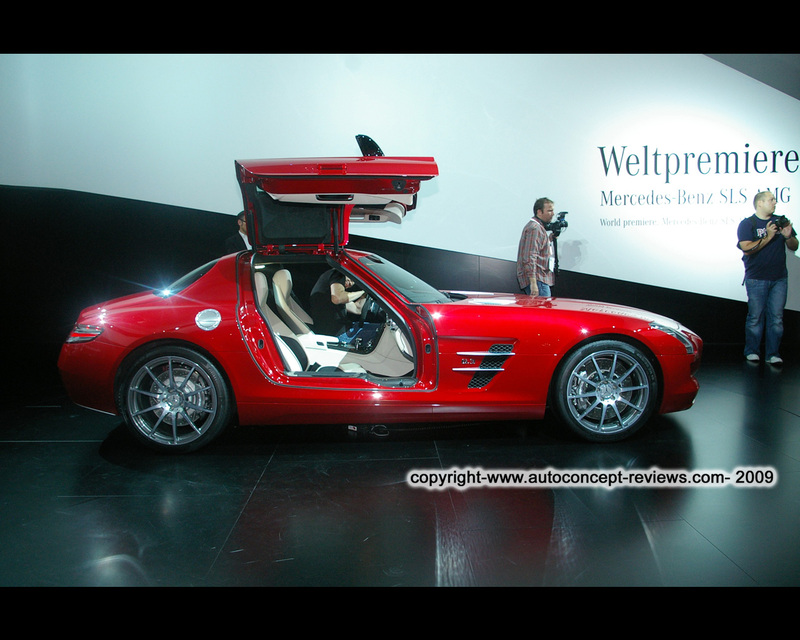 We presented it as prototype testing under Mercedes SLS AMG Gullwing Prototype testing 2009. 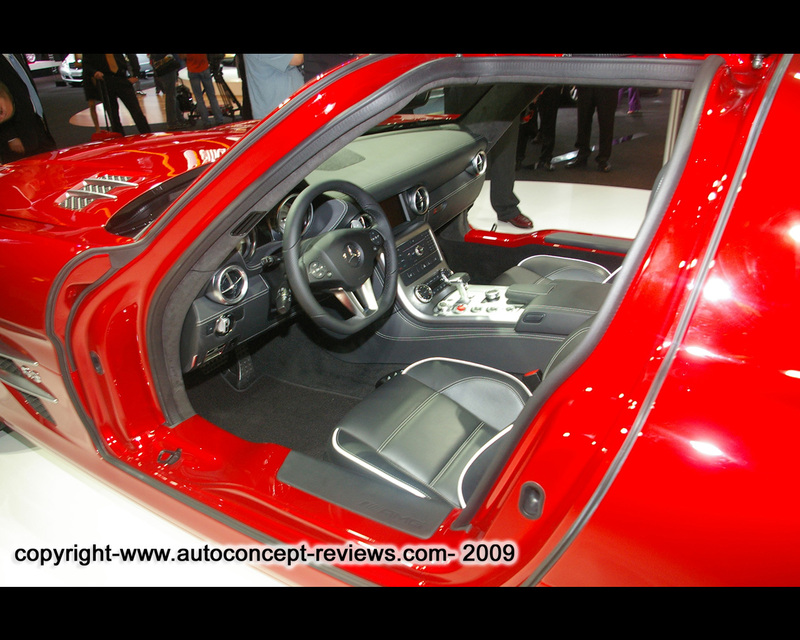 The new sports car from Mercedes and AMG makes for an alluring proposition with its technology package: aluminium space-frame body with gullwing doors, AMG 6,3 litre V8 front-mid engine developing 420 kW/571 hp peak output at 6.800 rpm, 650 Nm of torque at 4.750 rpm and dry sump lubrication, seven-speed dual-clutch transmission in a transaxle configuration, sports suspension with aluminium double wishbones and a dry weight of 1620 kg. 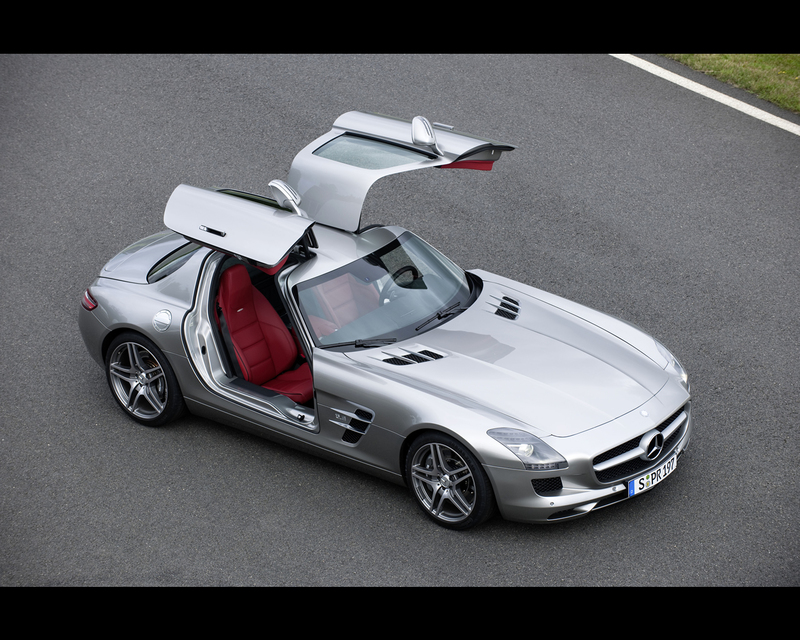 The Mercedes SLS AMG Gullwing accelerates from o to 100 kph in 3,8 seconds before going to a top speed of 317 kph (electronically limited). The fuel consumption is claimed at 13,2 litre per 100 kilometres. Estimated CO2 emissions is 314 g/km. 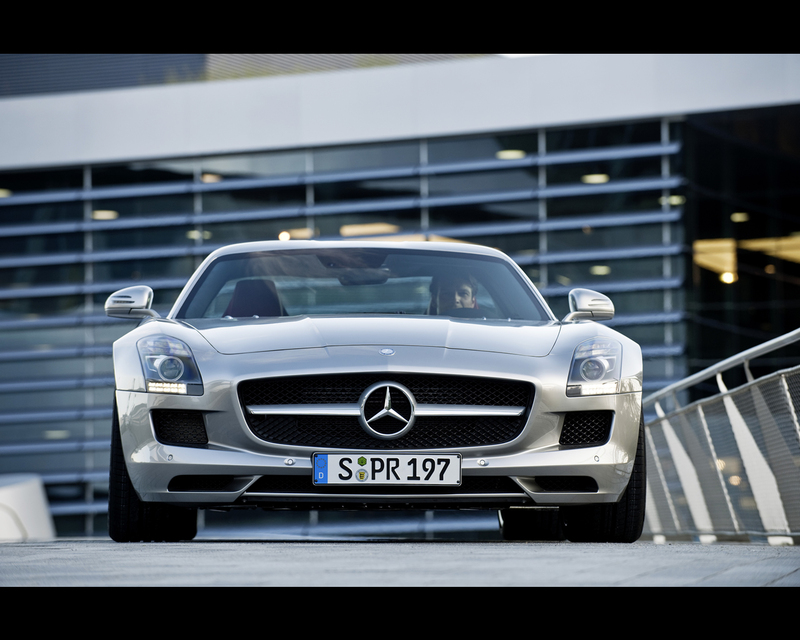 "Mercedes is presenting an exhilarating super sports car in the guise of the new SLS AMG, which is bound to set the pulses of all car enthusiasts racing that extra bit faster. 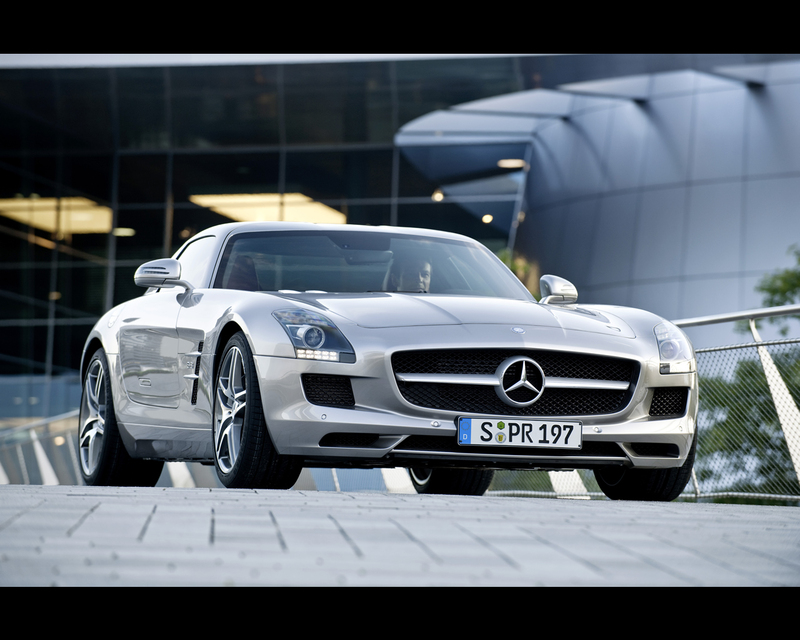 The brands Mercedes-Benz and AMG have joined forces to create the SLS AMG - which is set to become one of the most alluring sports car of all time", says Dr. Dieter Zetsche, Chairman of the Board of Management of Daimler AG and Head of Mercedes-Benz Cars. 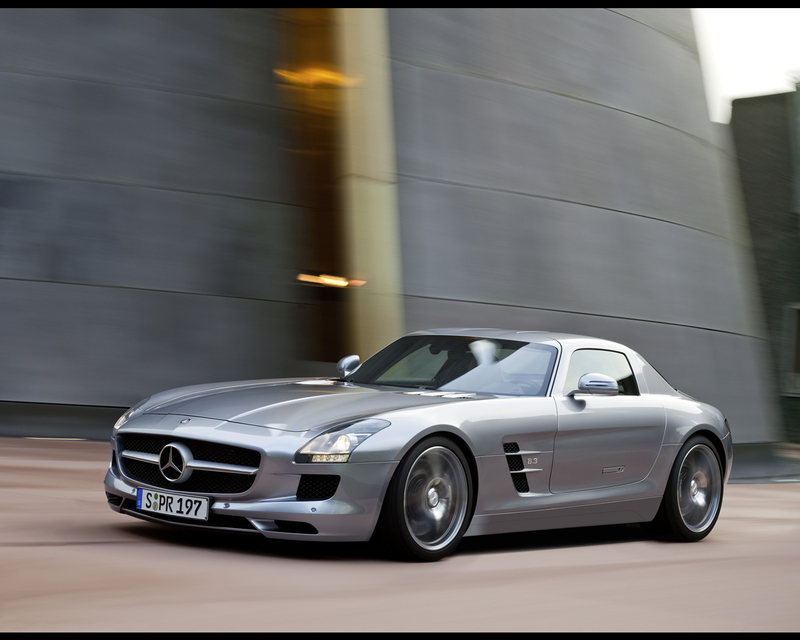 "Our customers will experience with the SLS AMG the expertise of Mercedes-AMG, built up over 40 years of motor r'acing. The unrivalled technology package delivers outstanding driving dynamics coupled with moderate fuel consumption figures - part and parcel of the modern day AMG," says Volker Mornhinweg, Chairman of Mercedes-AMG GmbH. 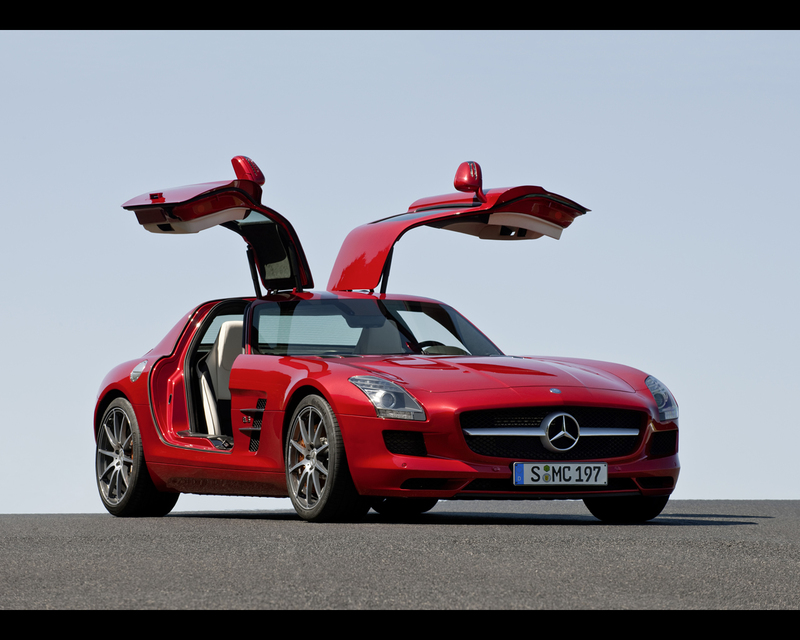 The styling of the new Mercedes SLS AMG is not only very special because of the exclusive gullwing doors. Our aspiration is to utilize this interpretation to create the classic of tomorrow and roll out the most alluring sports car of the 21st century. Our aim is also to create a new design icon, which shapes the incomparable legend of our brands, alongside Mercedes models like the CLS or the SL. 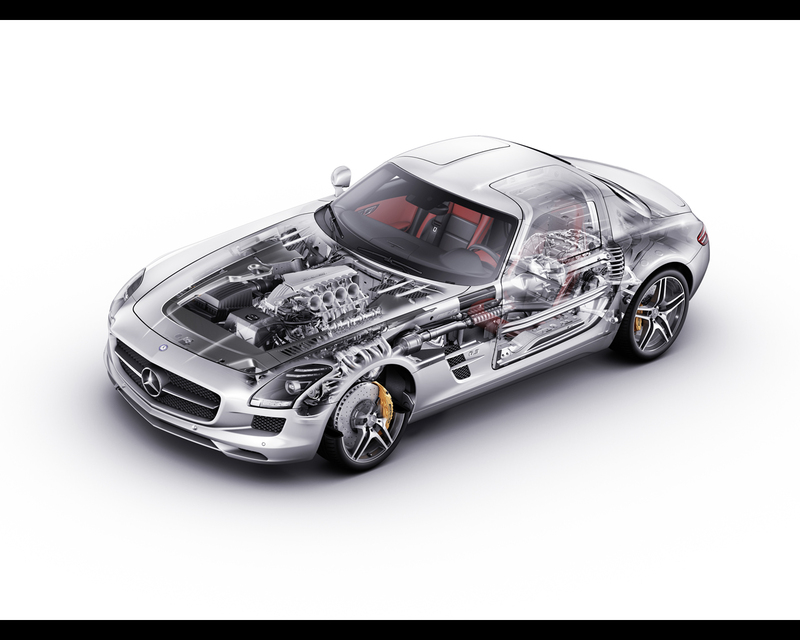 At the same time, the new SLS paves the way for the design philosophy of forthcoming Mercedes-Benz sports cars", says Gorden Wagener, Head of Design at Mercedes-Benz Cars.